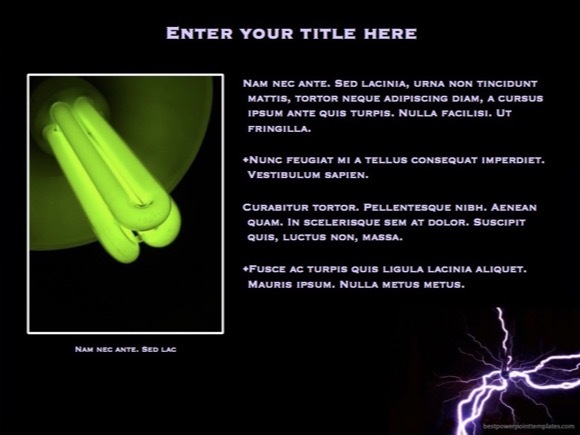 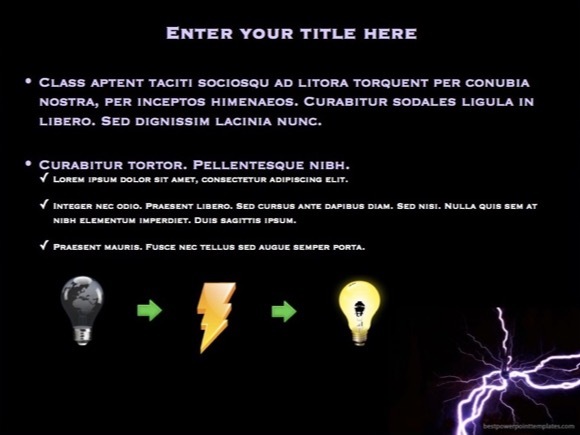 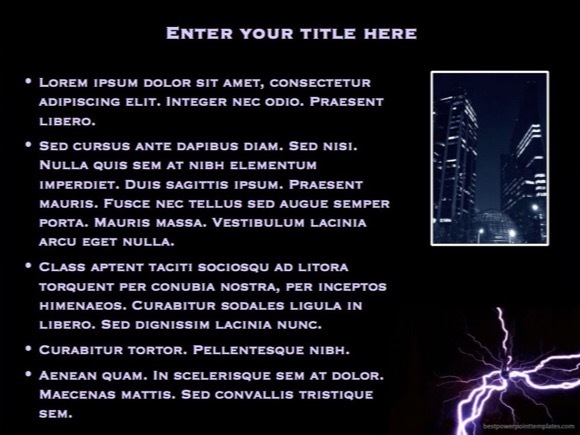 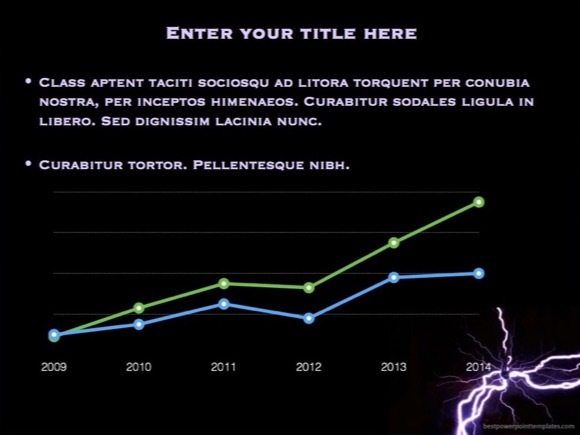 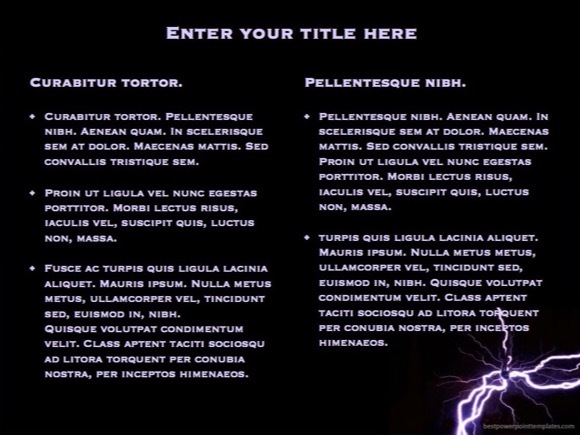 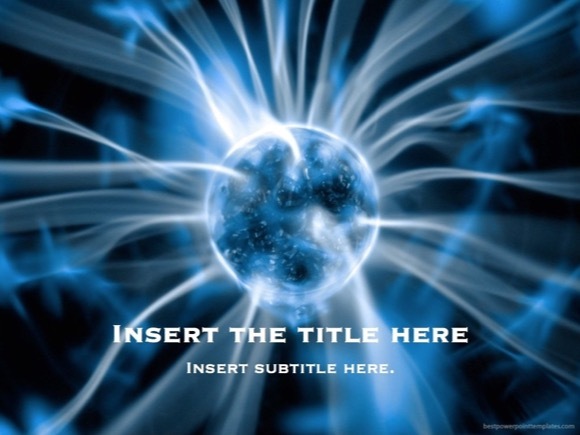 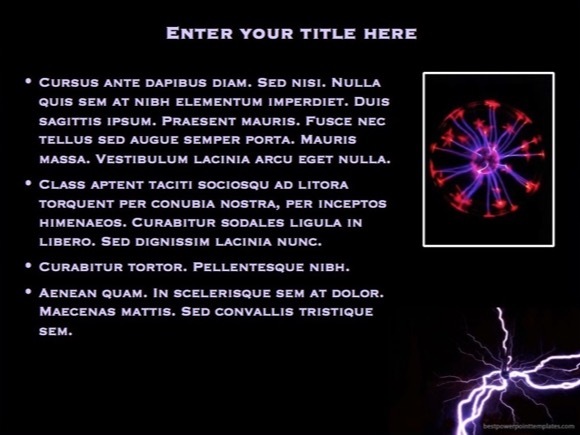 Electricity Power PowerPoint template - FREE! 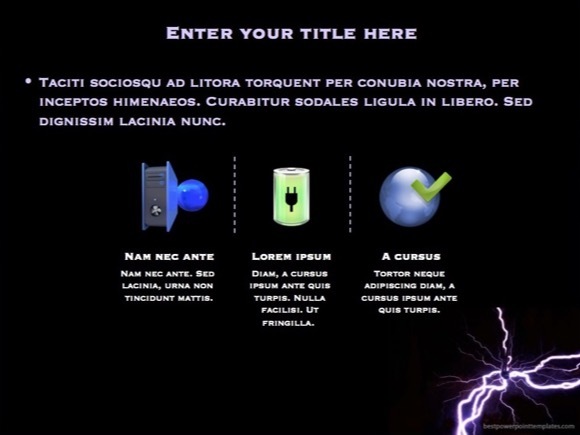 Electricity PowerPoint template with a black background was designed for presentations related to power generation and electrical engineering, also for dams of electric grid stations or construction projects or other engineer’s related presentations in PowerPoint. 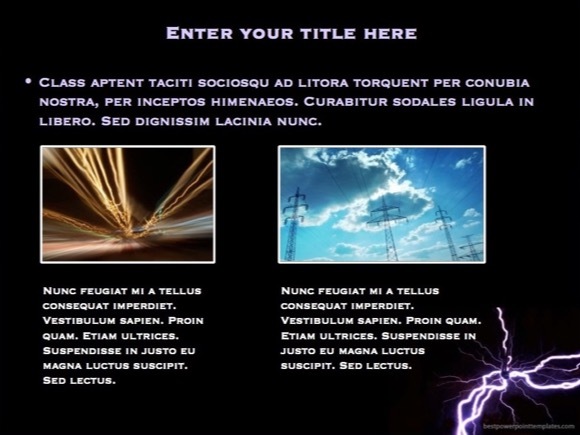 Students or teachers can use this template to talk about these topics: lightning, electricity, electric charge, electromagnetic induction. 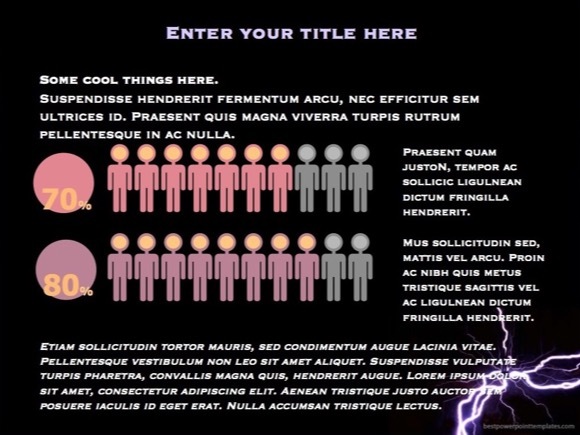 The clear black design of this powerpoint template can also be used from students in the engineering college to electrical engineering technology companies, that require some serious ppt design.